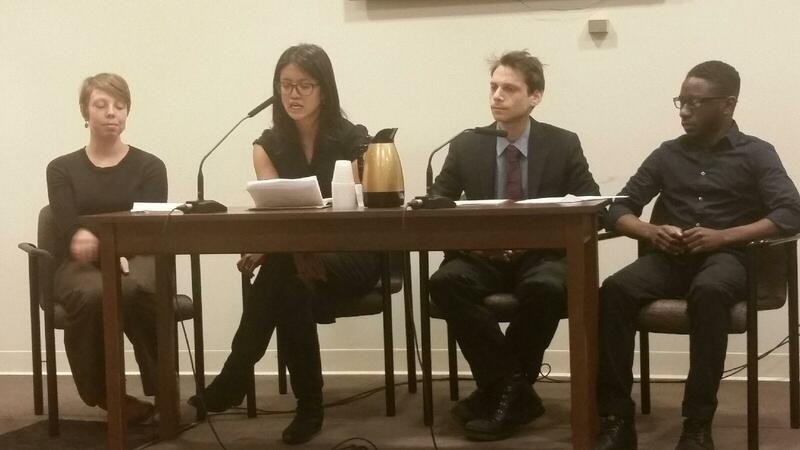 Dr. Perry Sheffield co-testified with students, Keven, Kieley, and Teresa Herrera, on the NYC City Council hearing in Resolution 509. The resolution calls on the United States Army Corps of Engineers to reconsider the proposals made in the New York-New Jersey Harbor and Tributaries Coastal Storm Risk Management Feasibility Study pursuant to the National Environmental Policy Act (NEPA) to consider sea rise in addition to storm surge. To watch the testimony click here. Governor Andrew Cuomo proclaimed October 11 the first Children’s Environmental Health Day in New York State. 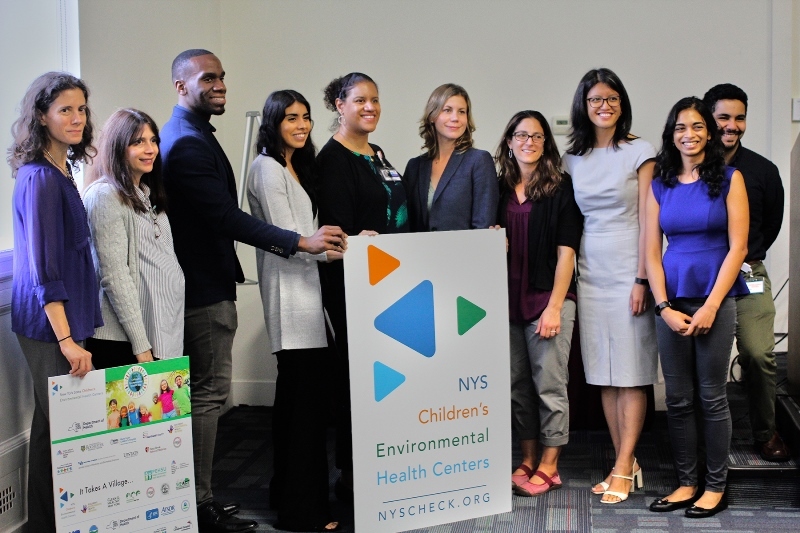 The day was a great opportunity to announce the launch of the newly established statewide network for children’s environmental health. Recognizing that exposures to toxins in the environment hurt our health and have lifelong impacts, the network was established to prevent, diagnose, and treat environmental-related health effects during pregnancy and throughout childhood. The network will train and support health care professionals to address environmental health issues and provide clinical pediatric health services to families. Sites are located across the state, including in Albany, Buffalo, Long Island, New York City, Rochester, Syracuse, and Westchester. The Icahn School of Medicine at Mount Sinai in New York City serves as the coordinating center. 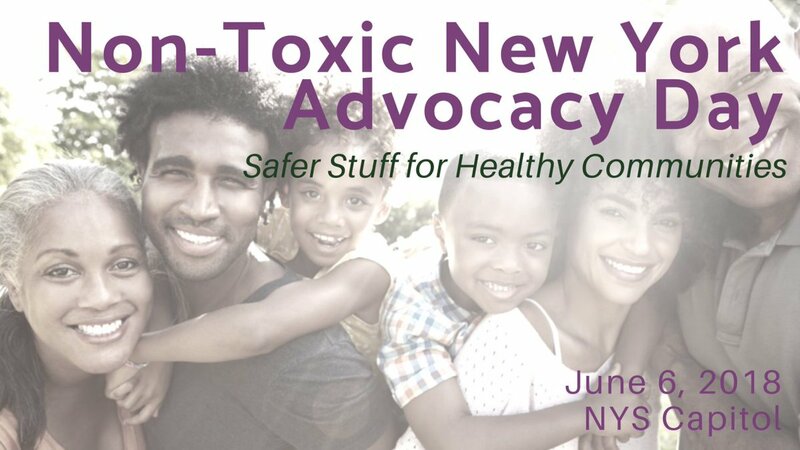 On June 06, 2018, the CEHC co-sponsored the “Non-Toxic New York Advocacy Day” in Albany to urge lawmakers to make New York a leader in promoting safer products and healthy communities. In the morning, we heard from policymakers, business leaders, and advocates about ways to get toxic chemicals out of everyday products. After, we met with elected officials to promote legislation to better regulate chemicals that are in many of the products we use. Thanks to these advocacy efforts, along with the work with Clean & Healthy NY and a coalition of other organizations, the Governor has taken an important first step in requiring that manufacturers of cleaning products disclose their ingredients and identify any that are health hazards. 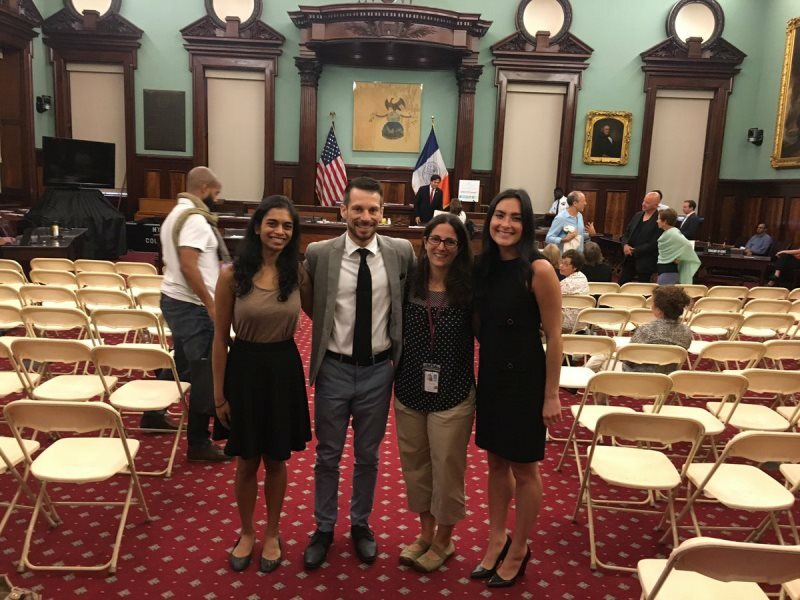 On September 26, 2017, the New York City Council’s Committee on Health held a hearing to discuss bill INTRO. 0800-2015. This bill would ban the use of toxic pesticides and herbicides, including Monsanto’s “Roundup,” (containing the dangerous endocrine disruptor glyphosate) in all NYC City properties and parks. P30 Center Member, Dr. Evans, testified in favor of the bill. 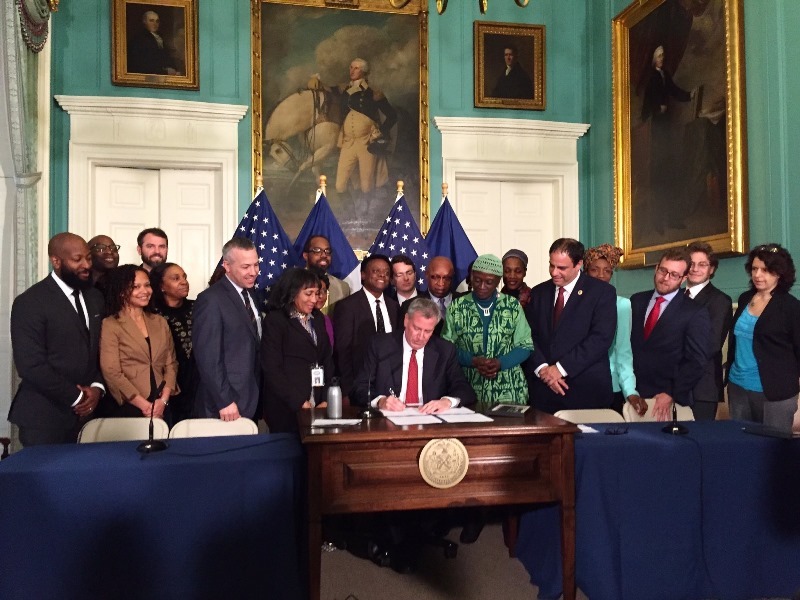 The NYC council passed two bills, The Environmental Justice Study Bill (Intro 359) and The Environmental Justice Policy Bill (Intro 886A), which will provide the city and all New Yorkers more information to identify and address these injustices. The Environmental Justice Study Bill (Intro 359) will amend the city’s administrative code to require that a citywide study of potential environmental justice communities be conducted. The results of this study will be made available to the public and placed on the city’s website. The Environmental Justice Policy Bill (Intro 886A) amends the city’s administrative code to require city agencies to develop plans to address environmental injustices in communities of color and low-income communities. 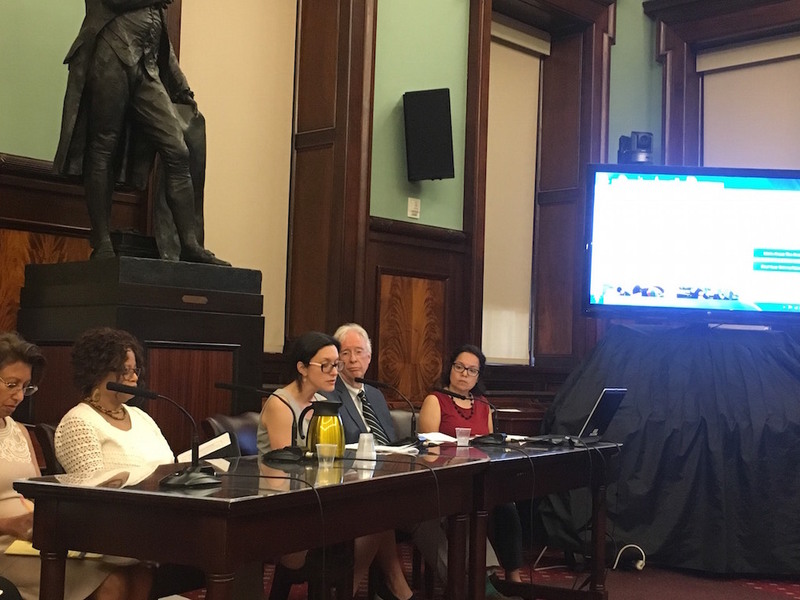 The plans must be in consultation with these communities, and establishes and environmental justice advisory body, comprised of EJ advocates, to work with the city on identifying and addressing environmental injustices. 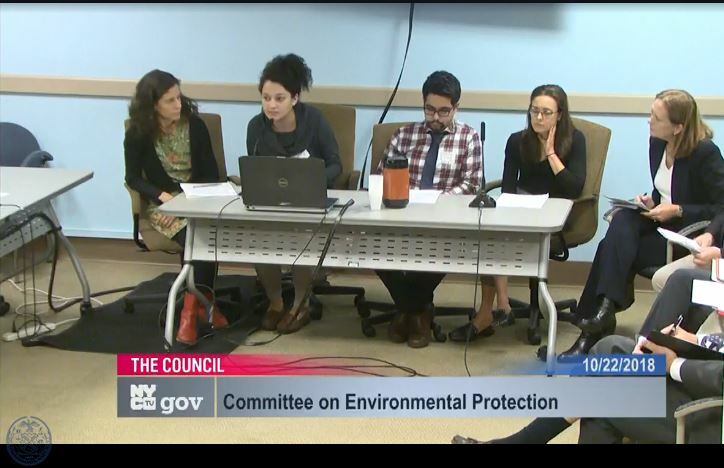 Our SAB Board members, Peggy Shepard from WE ACT for Environmental Justice and Rebecca Bratspies from CUNY Law Center for Urban Environmental Law Reform spoke to the importance of the passage of these bills in a press conference with NYC Mayor Bill de Blasio. American Public Health Association and the National Environmental Health Partnership Council collaborated to present in November, Investing in a Robust Environmental Health System (PDF), a guide to environmental health for the next Presidential Administration. Dr. Galvez, P30 Center Co-Director, is part of the National Environmental Health Partnership Council, a group of diverse stakeholders, that created this document and offered recommendations on how the federal government can help build an effective and strong environmental health system. 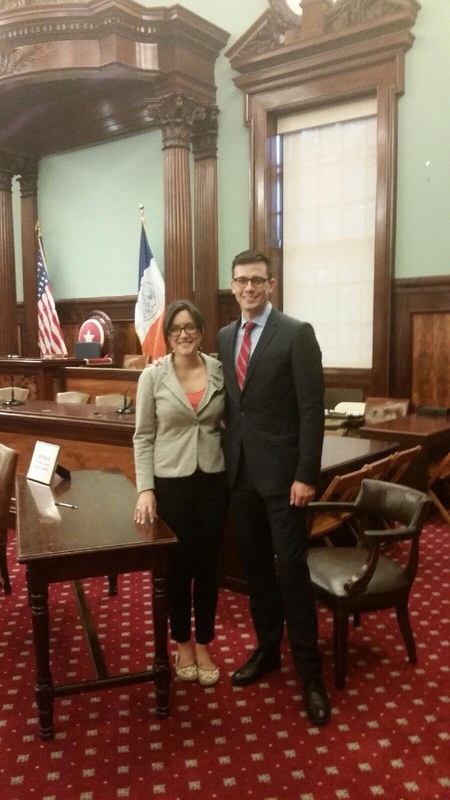 On January 14, 2016, the NYC Council Committee on Consumer Affairs hosted a hearing on Intro No. 803-A, which would amend the administrative code of NYC to regulate the manufacturing and selling of children’s products that contain toxic chemicals. The effort to establish lower total content levels of regulated chemicals is shared by many proponents of children’s environmental health who attended the hearing, and was supported with expert testimony by COEC Co-Director Dr. Maida Galvez, an environmental pediatrician at the Icahn School of Medicine at Mount Sinai. Many products intended for children’s use, including food/drink utensils and containers, clothing, and accessories, are not categorized as ‘toys,’ and are therefore excluded from current regulatory measures to reduce exposure to chemicals like lead, cobalt, arsenic, and other heavy metals. Above: Dr. Maida Galvez addressing the group gathered at City Hall. 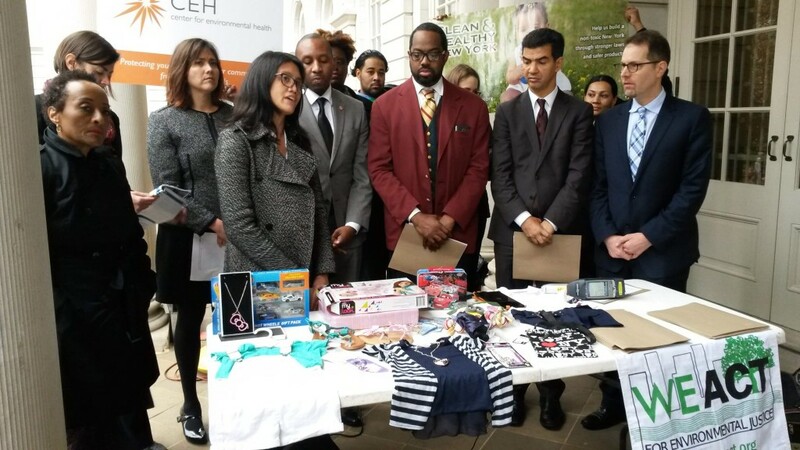 On December 17, 2015, P30 COEC Co-Director Dr. Maida Galvez represented Mount Sinai at a press conference to support the Child Safe Products Act. Research conducted by Children’s Environmental Health Center researchers along with others at Mount Sinai has advanced our understanding of the role played by low dose chemical exposures in children’s growth and development, including chemicals such as arsenic, cadmium, and lead. 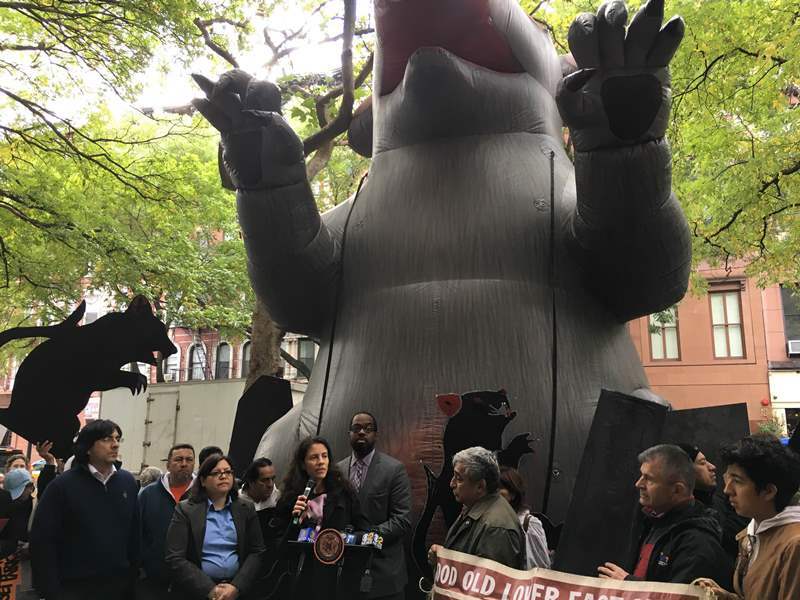 WE ACT for Environmental Justice, Center for Environmental Health, Clean and Healthy New York, Council-member Mark Levine, and several community members were present at the press conference to express support for this legislation. 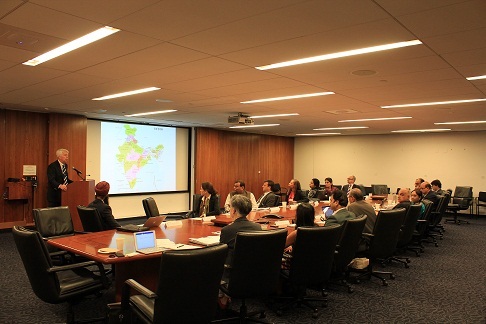 On September 16, 2015, the Icahn School of Medicine at Mount Sinai hosted a delegation of Indian municipal and state-level officials, as well as disaster management, weather service and health professionals for a panel on health care facility emergency preparation and discussion. 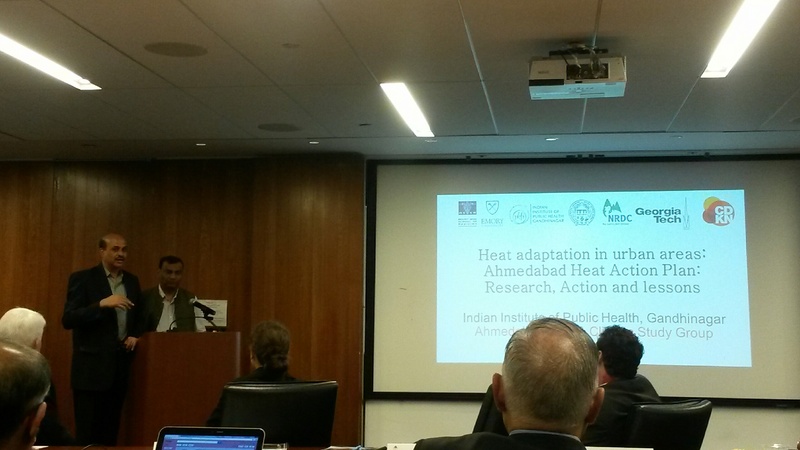 This event was led by Dr. Perry Sheffield, who has been working through Mount Sinai Global Health in the development of Southeast Asia’s first extreme heat event plan in Ahmedabad, Gujarat, India (http://www.mdpi.com/1660-4601/11/4/3473). 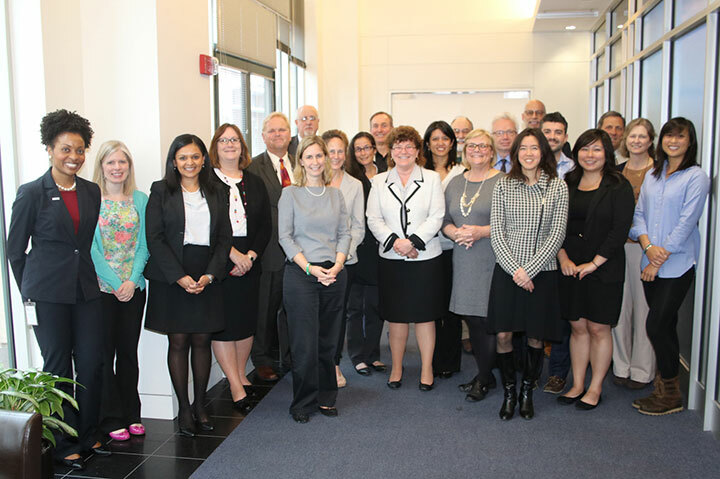 Mount Sinai has partnered with the Natural Resources Defense Council and Public Health Foundation of India-Indian Institute of Public Health on this initiative, which has gained international attention and is expanding nationally in India. On September 1, 2015, the New York State network of Centers of Excellence in Children’s Environmental Health (nyscheck.org) met with Dr. Howard A. Zucker, NYS Commissioner of Health, and Dr. Nathan Graber, Director of the Center for Environmental Health at the NY State Department of Health, to share highlights from across the network. Members in attendance included Drs. 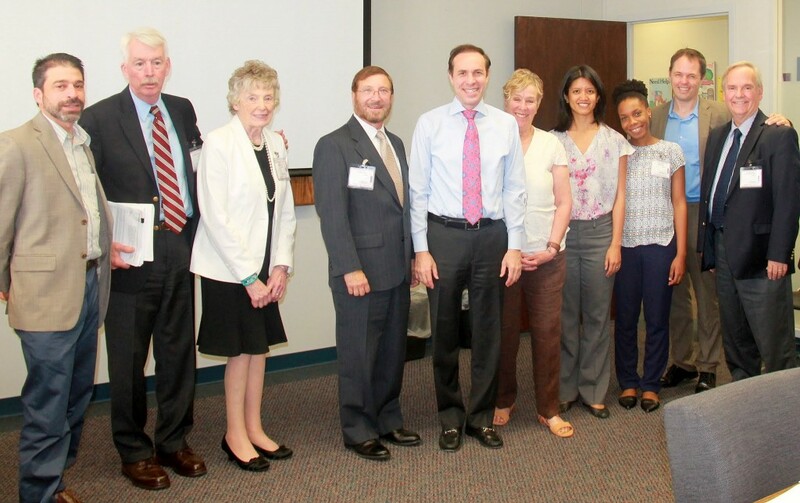 Ruth Lawrence and Richard Miller from the University of Rochester, Dr. Robert Amler from NYMC, Drs. Maida Galvez and Philip Landrigan from Mount Sinai, Dr. Anika Clarke, a pediatric resident from Elmhurst Hospital, Dr. Cappy Collins from Stony Brook, Saima Anjam from EANY, and Karen Miller from HBCAC. That evening, Dr. Landrigan appeared on an episode of Capital Talk to discuss the state’s important role in protecting children’s environmental health. In addition, he was interviewed by Susan Arbetter on an episode of the Capitol Pressroom, during which he explained his stance on GMO food labeling and discussed state funding for Centers of Environmental Health. 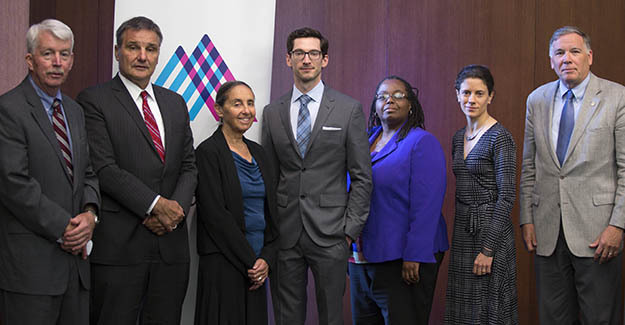 This summer, Mount Sinai Hospital hosted the US launch of the report by the Lancet Commission on Health and Climate called “2015 Lancet Commission on Health and Climate Change: Policy Responses to Protect Public Health”. During the panel, several leading health professionals discussed key findings of the report and the medical need for urgent action on climate change. PEHSU pediatrician Dr. Perry Sheffield was among the distinguished panelists, with opening remarks by Dr. Philip Landrigan. To read more about the report, please click here. Drs. Lauren Zajac and Thomas Hays from the Children’s Environmental Health Center (CEHC) at Mount Sinai testified at a City Council hearing on June 25, 2015 in favor of City Council Bill Intro 420. The proposed bill would limit ambient classroom noise to 45 dBA when construction sites are located within 75 feet of a school. In their testimony, Drs. Zajac and Hays highlighted important health repercussions of prolonged exposure to elevated noise levels in children, and the adverse effects of noise pollution on learning, memory, and academic performance. Under the provisions in the new bill, noise mitigation would be the responsibility of developers and would be regulated and enforced by the Department of Environmental Protection.